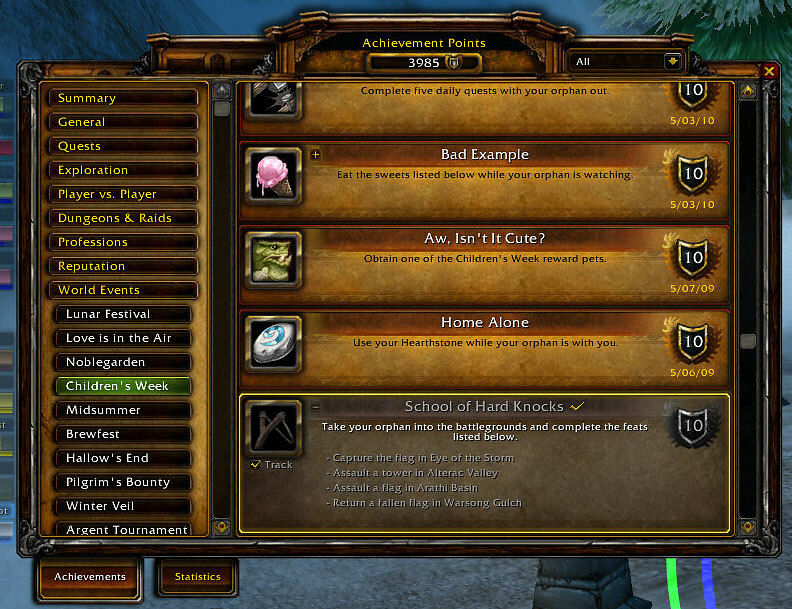 The Achievement Hunter is a column highlighting fun or interesting achievements in WoW and tips for completing them. Children’s Week is over, thank god! Its taken me a few days to get to writing this wrap up but I had a few things I wanted to try before I published the article, as I’ll explain below. So how did Children’s Week go for me? It was a mixed bag, I did achieve more than I expected but less than I hoped. More, after the break.